Join Rabbi David every Saturday before the morning service for Torah Study. 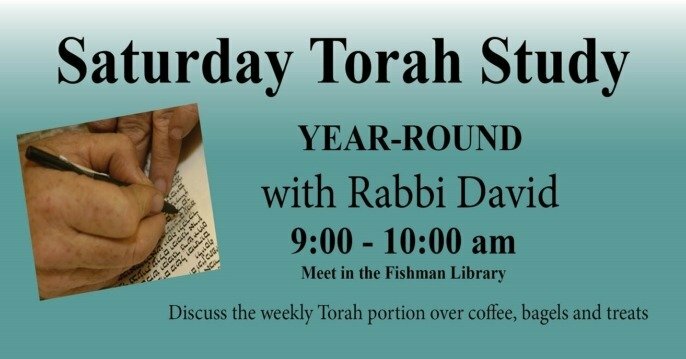 We will read and discuss the Torah portion of the week over good coffee, bagels, and other treats. Meet in the Fishman Library.